Terry Minchow-Proffitt is a retired pastor who lives in St. Louis, Missouri. He was raised in the Mississippi Delta of eastern Arkansas, and continues to be inspired by his native land and its people. His poems have appeared or are forthcoming in Arkansas Review, Big Muddy, Christian Century, decomP magazine, Deep South Magazine, Desert Call, Freshwater, Hash, Mud Season Review, OVS Magazine, Oxford Magazine, Penwood Review, Pisgah Review, Prick of the Spindle, St. Ann’s Review, Tower Journal, Valparaiso Poetry Review, Wild Violet, Words and Images Journal and The Write Room. Minchow-Proffitt received degrees in Philosophy from Arkansas State University and Theology from Princeton Theological Seminary. He has done further graduate study in English at the University of Mississippi and in Christian Spirituality at Washington Theological Union. He received certification in Spiritual Direction from The Haden Institute. Seven Last Words is his debut collection of poems. His poem “III” was nominated for a Pushcart Prize. To contact, he can be reached on Facebook or by email at thechickentrain@gmail.com. For more information, visit his website at Terryproffitt.jimdo.com. “Why we like or dislike almost all forms of creative expression is a mystery. It’s not exactly technical. You can like someone’s drawing or painting without knowing anything about art. This is even more true about music. You can be tone deaf and still appreciate someone’s singing or songwriting. Poetry is a form of creative expression that I have appreciated nearly all of my life. 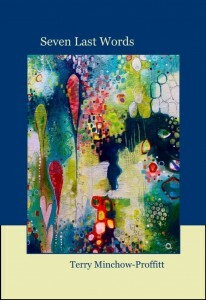 When done well, like a fingerprint, or more accurately, a finger painting, whether erudite or sloppy as a five-year-old discovering the joy of the color blue, a poem written well and from the heart is as personal and universal as any and all human connection. Christ’s final words from the cross—the seven sayings from the Gospels—have a compelling resonance. They have been pondered anew throughout the millennia by Christians and non-Christians alike the world over. Forged within the crucible of suffering, they have the capacity to awaken, to transform our way of beholding God and one another. 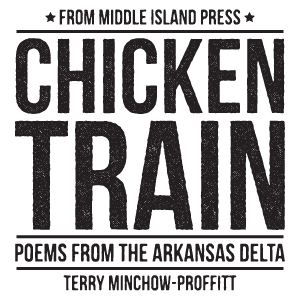 In Seven Last Words, poet and pastor Terry Minchow-Proffitt gives us seven poems based on these sayings, along with an in-depth interview with Mud Season Review. With brevity that begs to be savored, Seven Last Words renders a powerful portal into the love that continues to radiate during the darkest of times.